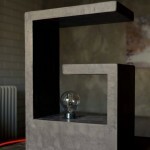 Alexandros Lagos of Cementology has put decorative concrete to new use in housewares, art and jewelry. Inspired by his career in the fashion industry and working closely with architects and designers, Alexandros has dubbed his creations “DecoARTive” – a play on words that fits his art perfectly. 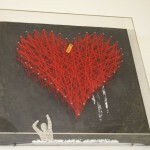 Whisk away with me to Greece, where Alexandros is making wonderful artwork in a tumultuous time. What led you to discover art later in life at 29? The reason is very simple – when I was 28, I moved to my own house and had to decorate it. I couldn’t find anything matching my preferences and style in a reasonable price range, so I decided to make my own decoartive things. I mainly use wood and concrete, since I’ve always liked industrial style and lofts. 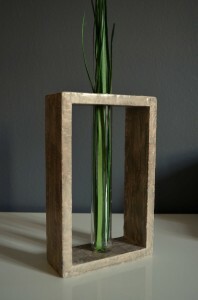 My goal is to renovate ordinary items and give them a fresh new look. Decorative concrete is such an unusual material; how did you start working with it? It’s unusual to see it in housewares or art, but decorative concrete is widely used in architecture and interior design. I first decided to use it for an art project at a local store. The project was to transform the famous monobloc chair, so I covered it with concrete. Can you tell us about early failures working in concrete and how you overcame them? My biggest failure is that my friends won’t come to visit anymore – they think I’m so into it that I’ll put concrete on whatever enters my house (and that’s true in a way). The early failures were the common ones facing anyone using new materials and techniques – the wrong proportions in mixtures, difficulties applying the material, etc. It’s very hard and rare to find someone that knows the proper application techniques for this material, so imagine how hard it is to share it with you. I never managed to find someone like that, so I had to read a lot, practice, re-read and practice – and then practice of course! In my quest for information about techniques, I read that very similar products were applied on walls in ancient Italy and Greece thousands of years ago. They were using the ball of their thumb to apply them – luckily, there are trowels for that now! Is the concrete limiting in terms of colors available? Not at all. The best option is to use earth pigments – they’re very durable, and with the proper mixes one can achieve almost every color possible. 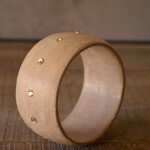 How do you achieve the nice color variation in your bangles? It’s achieved by the lime, an ingredient of the product, and by the time spent troweling the material. There are lots of troweling methods available, depending on the desired effect. 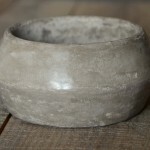 You can have the texture of polished or distressed concrete, marble, rock, or stone. Your shop has a great variety of items – art, home decor, candles, fashion. How do you decide what to create next? The variety is due to my background. I worked in the fashion industry as a project manager, developing mono-brand stores and boutiques like Burberry, Dsquared2, and many more. I like variety, it never makes me bored. Until I opened my shop, I was very lucky to make whatever I pleased. 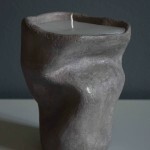 If I felt like making candles, I devoted a week in candle making – or researching or designing candles. Of course now, I respond to the demand and needs of my customers, offering an excellent buying experience for the products they prefer. 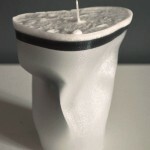 How do you create the unique shapes for your Anarchy Candles? I can’t tell you that, it’s my biggest secret!! The only thing I can share is that I use plaster bandages for my molds; each candle is unique, since I destroy the mold afterwards. The paradox is that I first found out how to make molds, and only then learned how to make candles. It only takes a second for inspiration to hit, but then you need a lot of time and hard work on experimentation until you find the best solution for turning an idea to reality, so please excuse me for keeping it to myself. How long does each item take to create? A candle can take up to 4 days in order to be ready to be shipped. The decorative concrete takes a minimum of 3 days, since there are three steps that require 12 hours in between. Projects that require woodworking add 1-2 days more. It helps that in most cases I can make more than one item at the same time. What new projects are you experimenting with now? 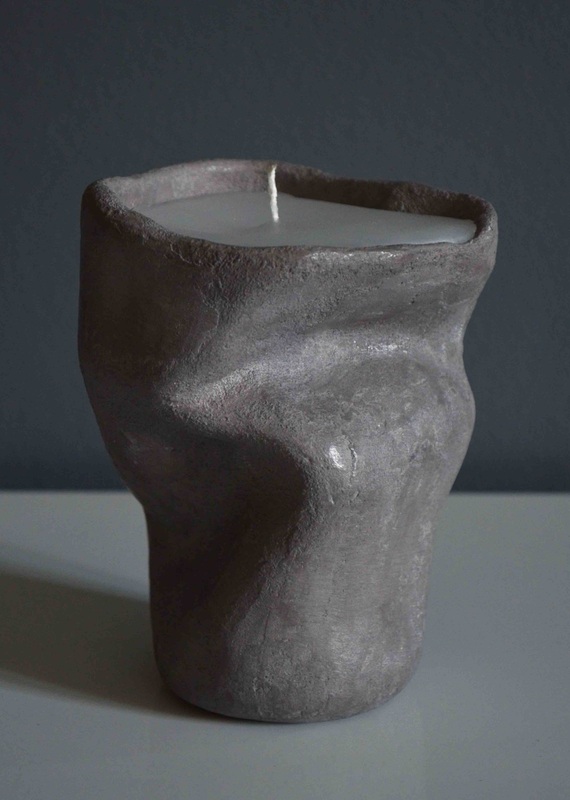 I’m in the process of developing and testing a new Anarchy candle that has a layer of plaster and concrete on it. 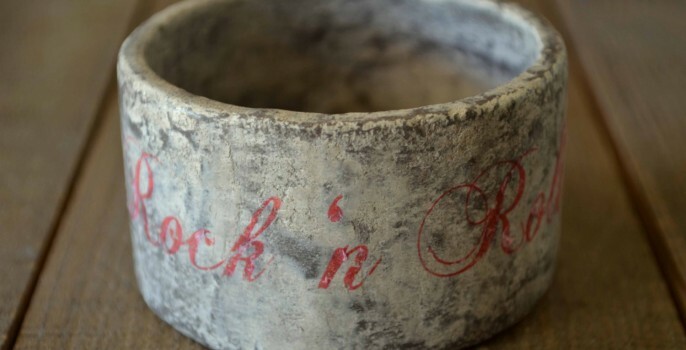 I also think concrete jewelry is an intriguing subject that needs to be further explored, since it is a niche with great demand. The Heart of nails is magnificent and combines many different techniques – tell us about creating this piece. Well, it’s a long and painful story that kept me awake many nights, as well as the neighbors since there were a lot of nails to hammer (and also fingernails). Thank you for your kind words; I believe it’s something that represents a side of love in very simple way. I prefer not to give an explanation of this work, since the beauty of art is that everyone can translate it in his/her own way and discover personal meanings. Have you sold your work at places besides Etsy? Yes, I have sold some of my products in local stores. I also work independently as a professional applicator of decorative concrete on walls and furniture at houses and commercial spaces. Do you foresee any challenges selling internationally? Right now the biggest challenge is selling in Greece. In the last few years, the Greek economy suffered a great shock from the economic crisis. It’s affected so much of Greece that a lot of companies went out of business and many lost their jobs, including myself. I strongly believe that even during a crisis, there are lots of opportunities to be discovered and explored – like Etsy! Duties and taxes might be an obstacle in selling internationally, but I think if someone finds a product that they feel was made for them, there’s nothing that will stop a sale. A big thanks to Alexandros for taking the time to answer some questions about his unique art. I don’t think Cementology will be Undiscovered for long with its stylish items and Alexandros’ attention to detail. Alexandros has graciously offered a 15% discount to Brittany’s Best readers for the month of February with Etsy coupon code ‘bb2013’.